Three years after receiving a complaint about extensive plagiarism and major errors in an anti-global warming paper, Elsevier says it’s still reviewing the allegations. 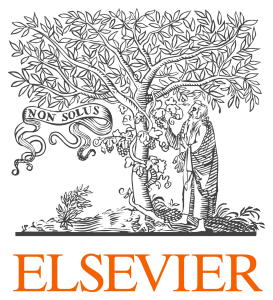 In 2014, readers complained to the Elsevier journal Renewable and Sustainable Energy Reviews about plagiarism and technical flaws in a 2013 paper questioning mainstream climate change science. The journal is currently undergoing a transition from the outgoing Editor in Chief to Professor Aoife M. Foley, who will be sole Editor in Chief from January 2018. Professor Foley with review these allegations in full as soon as possible. More than three years later, the journal has still not taken action. After Jokimäki’s September 2014 exchange with Elsevier, he heard nothing from the publisher or journal for 10 months. In July 2015, the journal’s editor-in-chief, Kazmerski, told Jokimäki he had conferred with the authors and the reviewers of the paper, who agreed “some action was needed.” Kazmerski proposed a solution: Jokimäki would write a commentary on the paper, to which the authors could respond. Kazmerski said he would publish Jokimäki’s comment regardless of whether the authors wrote a rebuttal. In August 2015, Kazmerski invited Jokimäki and corresponding author Florides to start the process. Over the next year, Jokimäki says he heard nothing from the journal. In March 2017, Kazmerski emailed Jokimäki explaining he had sent the authors’ rebuttal to Jokimäki 10 months ago. Jokimäki, however, says he never received that May 2016 email. In May 2017, Kazmerski sent Jokimäki the authors’ comments, which Jokimäki describes in his blog as making “hand waving type arguments,” and saying it would be “too much work” to submit a formal response. Kazmerski then proposed a new plan: Instead of publishing Jokimäki’s critique as initially agreed, he and Mashey could write an entirely new paper, exploring how climate issues have been misrepresented in the literature, using Florides paper as one example. We recently checked in with the new editor in chief, Foley, who told us she was unable to comment, and suggested we contact Elsevier for an update on the article. When we did, the spokesperson reiterated that the publisher and editor are continuing to examine the case. As the subject is purely scientific and as it has already gone through the specific appropriate channels, we do not feel that there is anything else to add. In the case anyone, academic/scientist or not, is of a different opinion and wishes to criticize the paper, they can follow the regular academic route and explain their position in an article that will undergo the scrutiny of peer reviewing. This is the normal scientific way that leads to a better understanding of any subject and serves science as a whole. You report a lot of what Jokimaki and Mashey say. But what do Florides et al say? I assume you contacted them to get their side of the story? I don’t know if there are examples of pro-climate change errors getting deliberate protection, but I recognize the general format of your comment. It’s called Tu Quoque. The “You do it too” defense. If someone gets caught red-handed their knee jerk reaction is to accuse others of the same or worse, in this case a conspiracy. Thank you for following up on this story. I would be very interested in knowing what the Authors rebuttal was, which was characterized as “hand waving arguments” – but which would take to much time to respond to, so they bagged it. Ari Jokimaki wrote a 4-post series going through the details. People can examine the side-by-side display of alleged plagiarisms, in the highlighted style I’ve used for years. Did anybody notice they published in the wrong journal? Observing and explaining the changes in the atmosphere and ocean during industrial times is one topic. Technology for producing energy and growing food with lower GHG emissions is a completely different topic. Different scientific disciplines inform each. And, like Ricka said, keep up the good work John Mashey. although that had other issues as well. I.e., this is the “should have been “not for this journal” reply, but slips through. Thanks for the kind words, however, Ari Jokimaki really drove this effort, with help from me & comments from others.